Whether you plan for it or not, road trips are hardly ever as simple as Point A to Point B. At some point, you'll need to stop before your bladder explodes, find some roadside grub, and fill up the tank before you return your rental car. And while you've probably been able to manage this with Google Maps' turn-by-turn directions, it's all about to get way easier thanks to a new update announced on Thursday. 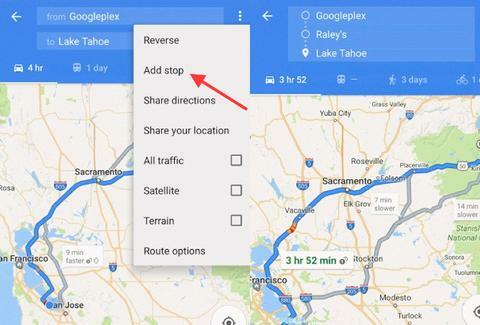 As explained in a blog post from Google Maps, the new feature allows you to set multiple destination points for all the stops you plan to make to make on your trip before you enter navigation mode. For example, you can add a detour to grab some lunch between your current location and your ultimate destination and the app will serve up directions reflecting the additional stops. All you have to do is hit the menu button in the corner, then tap "Add stop" as many times as you need to. Previously, the app only allowed you to add just one stop after you launched navigation, according to a report by Mashable, although the Google Maps on desktop has long supported directions with multiple stops. No need to fool around like that anymore, folks. However, there's just one slight catch: the feature is currently only available for Android users, but Google said it's "coming soon" to its iPhone app, too. Tony Merevick is Cities News Editor at Thrillist and wishes this was available on his recent vacation to San Francisco and Yosemite National Park. Send news tips to news@thrillist.com and follow him on Twitter @tonymerevick.